18 Mar How to Have a Terrific Day Every Day – Guaranteed. How would you like to have a fantastic day, every day? But already the skeptical wheels are turning in your head because you know this is impossible. And you will read on because, while you know that every day cannot possibly be fantastic, maybe you will learn something that will make some days fantastic. I was serious. Every day can be unbelievable if you can let go of a foolish belief that you have. I meet lots of people and talk to many more over the phone or Skype or Zoom. I am now being deadly serious. I will show you how you can have a terrific day, every day. This is simple and you will understand how simple it is when I explain it. It can also be ridiculously easy or fiendishly difficult depending on how open you are to accepting new ideas and implementing them in your life. And, if you find that what I share with you today is useful, reply to this email to let me know. Here is what you have to do to have a superlative day – today and every day. When you wake up in the morning take a conscious, mindful decision that you are going to have a fantastic day. The problem that most persons have is that they confuse having a terrific day with TWO things that have nothing to do with it. But they never examine their beliefs about this and so get stuck in that erroneous thinking and they have terrible days as a result. What is this erroneous thinking? I will bet that you are also guilty of this. And, stuff that you do not want, should not happen. So it is turning out to be a lousy day, right? Only if you let it become lousy. Lots of stuff happened. You would rather they did not happen. But they did. Why compound the problem by releasing your intention of having a terrific day? Feces will drop form the sky. It always does. That is its nature. When feces drops from the sky you have to put aside your plans and do some clean up work. But that does NOT mean you cannot have a terrific day. It simply means that there is some unexpected clean up that you have to put in your terrific day. If you can truly get into the habit of doing this, you will be surprised at how many of your days become marvelous. This is not well meaning and impossible to heed pablum, unless you decide it is. If you liked this piece and intend to do what I suggest, let me know in the comments below. I’d love to hear from you! P.S. 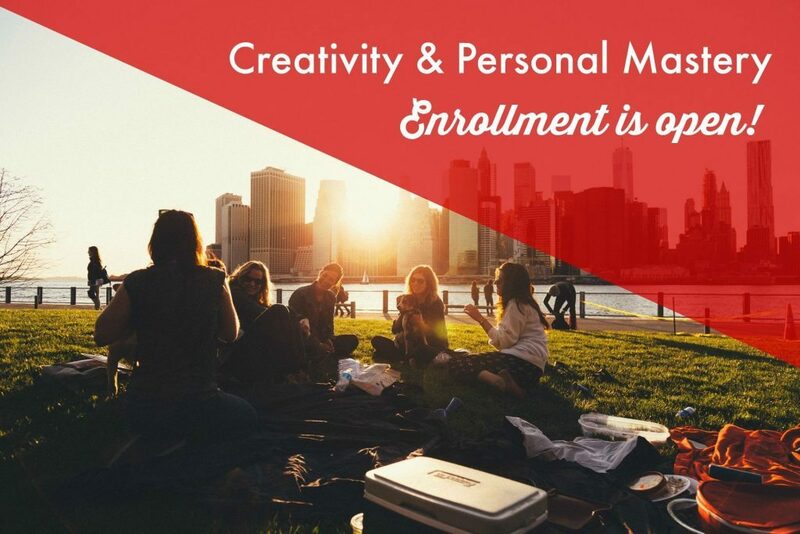 : Enrollment in my signature personal transformation experience, Creativity and Personal Mastery (CPM) is now open. Many who have taken CPM say it has changed so many of their mental models that it has made them a new person. And, of course, this new person naturally thinks differently. This program is an in-person, highly personalized experience designed to help participants go deeper and receive greater support that is not usually available in an online format. To ensure the quality of this experience, therefore, the program is for a maximum of 25 participants. This program is starting soon. Time is running out. If you are interested, please apply today. The real benefit is the change that happens within you that lets you experience life ever so differently and joyously. And which helps you reach heights you never dreamed possible even as the sense of effort and strain leave you. I hope to see you in one of them.